A big moment for a colored pencil geek! About three-quarters into the movie, editor Ben Bradlee (Hanks) walks into his wife’s art studio and puts his drink down on a table. 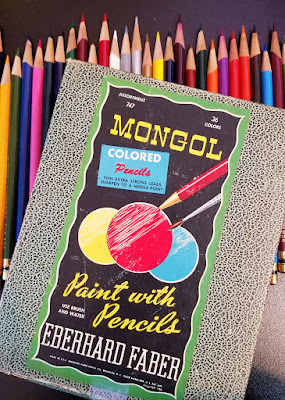 Shown for several seconds is a box of Eberhard Faber Mongol colored pencils! I have the same pencils in my collection! Can you imagine my excitement? 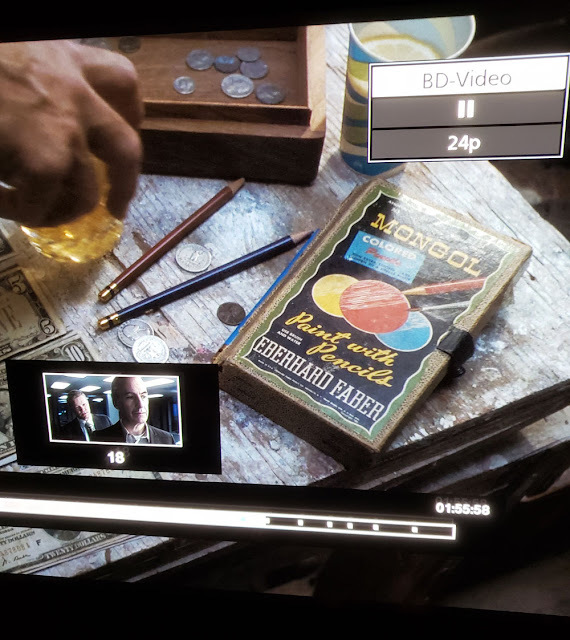 How often do colored pencils appear in any film, let alone one with Streep and Hanks? At right is my own set of Mongols, which I reviewed earlier this year. That's a good catch! I can't remember whether I've seen the film or just the trailers lots of times. That is so cool. I love seeing stuff like that. I was gifted today a set of Eberhard Faber Paint with Pencils 12 set unused and they do not say Mongol on them, though I do have a 12 set of Mongols from a while ago. Actually, I found your page from googling my new set. Do you know anything about them? Interesting that your EF set does not say Mongol! Seems like I've seen a lot of different variations of product names on eBay for what must be similar products. Maybe they just changed the name over time. Sadly, I don't know anything about them except what I wrote in my review post.